Learning to drive has never been cheap, but the typical cost of lessons alone has spiralled to more than £1,000, reports the BBC. 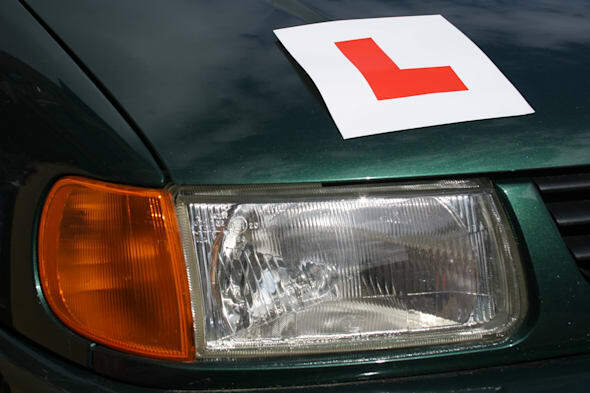 An average learner driver requires 47 hours of teaching behind the wheel before being ready for their test, according to new government figures, plus a further 22 hours of private practice. With the national average price for lessons standing at £24, according to the AA, the cost of lessons alone could stand at £1,128. Take into account the charge for the theory test (£25) and practical test (£62-75) and learners could have to pay more than £1,200 before being allowed out on the road by themselves. As a result of these steep costs, a number of potential learners are having to wait longer before they can afford to learn to drive. David Walkley, who runs a driving school in Kent, told the BBC: "People are finding it a little bit more difficult, with the cost of living going up. They're finding driving lessons are an extra expense. "They're going to university, spending £9,000 on that and then need to save for an extra few years before they come back to the driving." Consequently, the age of the typical learner driving is increasing. Mr Walkley adds: "I would say mid to late 20s, or early 30s, is when many people are learning to drive now." One of Walkley's pupils, 25-year-old Richard Garbett told the BBC: It can be detrimental to the driving, because if you can't afford regular lessons and you have a couple of weeks in between, you'll lose skills, you'll maybe forget what happened in the previous lesson, and so end up in the long-run spending more money."